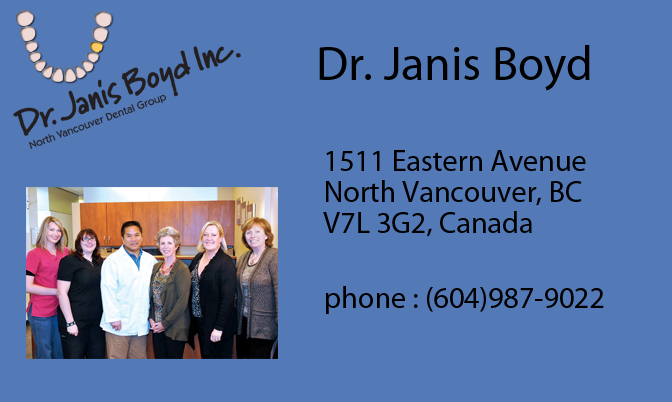 Dr. Boyd has served on a number of committees for the British Columbia Dental Association over the years, including the Peer Review Committee and the Practice Management Subcommittee. She has served as a part-time Clinical Instructor for the Faculty of Dentistry at UBC and also been a board examiner for the British Columbia Certified Dental Assistants program. Most recently, Dr. Boyd participated in a dental outreach mission coordinated by the East Meets West Foundation in Vietnam. Dr. Boyd and her team treated over 500 children in a school in a poor rural area of Vietnam, perhaps the only dental care some of these children will ever receive. She is looking forward to returning to Vietnam again in 2014 to help serve the dental needs of children is several orphanages in a poor, remote area of the country.